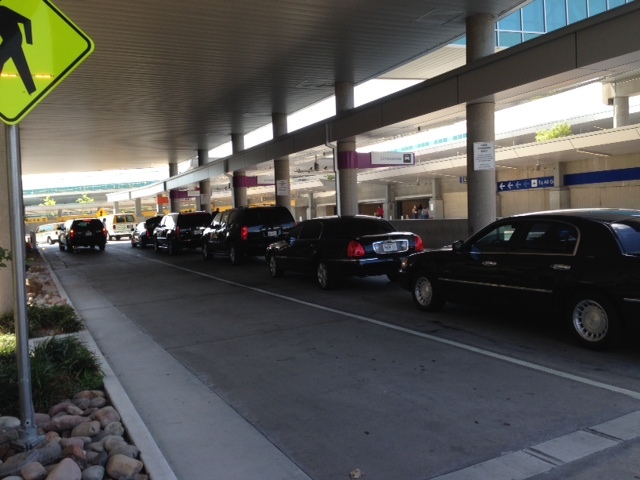 Dallas Love Field has moved the Pre-Arranged Limousine loading at Dallas Love Field. This will change how Allpoints Corporate Express meets it clients at Love Field. Formerly, Limousines loaded across from baggage claim on the same level at Love Field. Now new construction now completed channels passengers to the Lower Level from the main concorse for ground transportation options. The Pre-Arranged Limousines, Taxicabs, Shuttles and Rental Car Shuttles are now at the end of a ramp which also leads to the parking garage. In general the new accommodations are visually very nice. (see pictures) However, there are only about five parking places for limousines. Considering that the old limousine area could hold around eleven this means that when busy flights arrive drivers have little recourse other than to circle hoping that one of the parking places opens up. In response Love Field officials have instituted a ten minute before flight arrival time limit. This is no doubt to prevent drivers from arriving early in order to get a parking place. The airport ground transportation street regularly check driver manifests in order to enforce this rule. This also deters “hustlers” and Uber drivers from sitting on the limo stand. 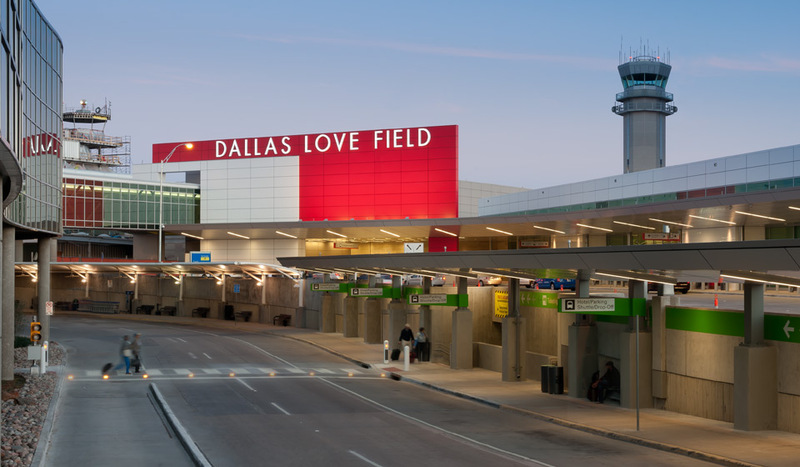 Unlike Dallas Fort Worth International Airport Love Field did not bother to meet with the Limousine Industry or the Dallas Fort Worth Limousine Association during the design phase of the new construction project. Had this been done the industry would have recommended more parking before concrete was poured. This is a common problem in Dallas in general. The rules listed on the Love Field website indicate that Taxicabs and Limousines must load on a first come first served basis. Surly this is a misprint since limousines must be pre-arranged and cannot take any customer who is not pre-arranged. There was a Limousine Remote Parking Area next to the Taxicab Holding Lot but it has been closed although the sign is still up. At this point there is no clear place for limousines to wait at the airport until time to pull up to the stand. A call to the ground transportation office did not get a response. It has been suggested that limousines wait off airport until their clients call from the curbside. At Allpoints Corporate Express we do not see this as providing the type of service our clients are paying for and we will continue to orbit the terminal until we are able to pick up our clients with a sign and a smile. Dallas Love Field is a work in progress. We can only hope that the first class facilities provided for travelers will make this important entry point to the Dallas Fort Worth area reflect the friendliness and welcoming spirit for which Dallas is known.